I recently attended the ASME medical education conference in Belfast with Jane and Martin, and this is a summary of my experiences at the event. This year, the conference celebrated the 50th anniversary of the Medical Education journal. The Lord Cohen lecture was delivered by Cynthia Whitehead from the University of Toronto. Cynthia reflected on the original aims of Medical Education – a place for medical teachers to read about pedagogy, for editors and commentators to ask the hard questions about the file, and to create new standards within medical education. She talked about the key clinical issues in 1966 – chronic disease, care of the elderly and disease prevention, simulation and assessment. 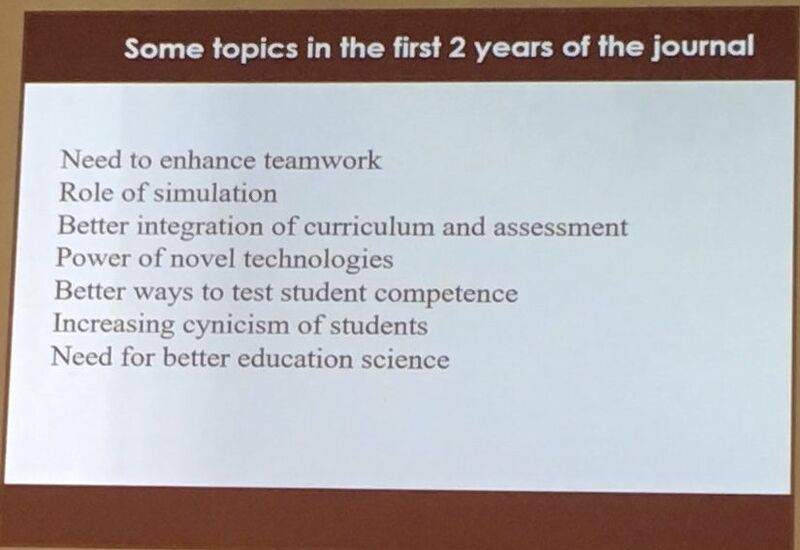 Cynthia summarised the key lessons learned from the 50 years of the journal – beaware of the excessive zeal for education projects – there is a risk we become too emotionally involved in the products we make, and beware of the lure of technology eclipsing the educational principles. 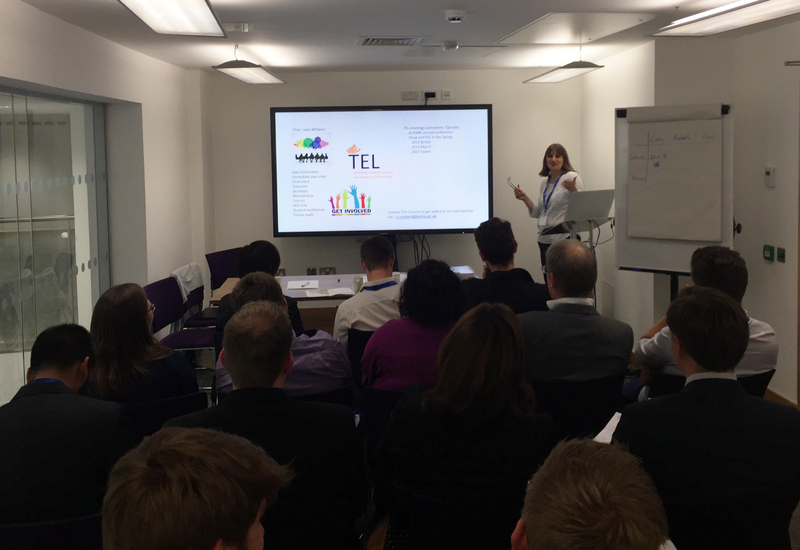 A full house enjoyed the latest meeting of the ASME TEL SIG and we heard two great examples of innovative educational practice. Miss Carrie Rodd from our Gloucestershire Academy presented an in-house developed e-portfolio for clinical teaching fellows that focuses on recording teaching as well as clinical research duties. Kevin Brandon and Jon Toomey from Exeter Medical School showcased their use of Google Apps for Education as a near complete replacement for their institutional VLE. The top priority for the project was easy access to the tools and content for students and staff. The traditional modular-style approach from their institutional VLE was replaced with a series of Google sites for the various parts of the spiral Exeter curriculum. 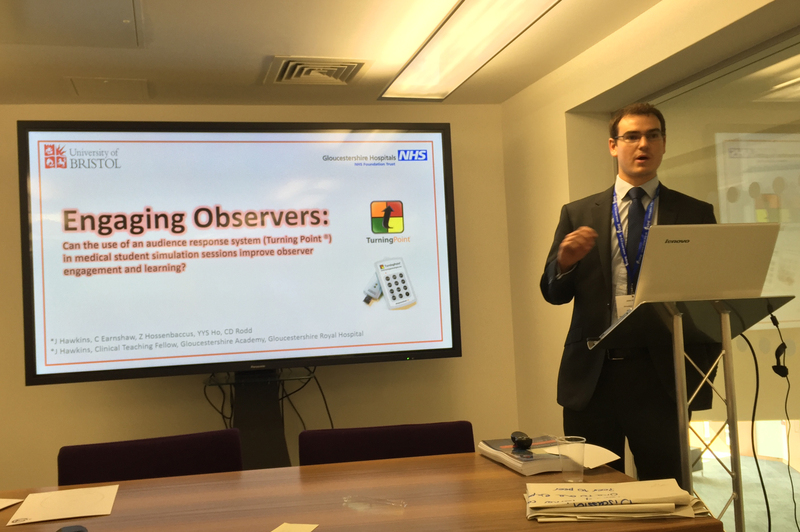 Our team, in partnership with two of our medical students and the Severn Deanery, ran a pre-conference workshop on staff-student partnerships and how to harness learner creativity in the development of innovative online learning materials. The workshop mixed a blend of educational theory to consider what makes a good learner experience, with case studies from the University and Deanery. We offered an insight into the practicalities of building these partnerships by showcasing Bristol’s student e-learning imitative (go to chapter 6). 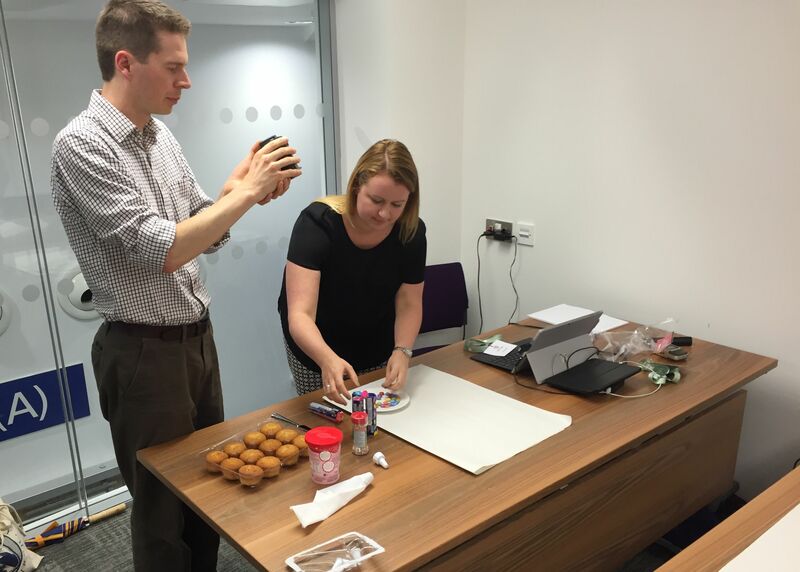 For the rest of the session, our delegates produced their own interactive learning materials by creating a TED-Ed lesson based on a video they have produced on cake decoration! Gloucestershire Academy ran an excellent workshop on the use of board games in face to face teaching. The games have evolved from simple board games to more technology focused, using Near-Field Communication and mobile devices, with help from the University of Gloucestershire. The workshop showcased some examples, including an escape-room activity, and outlined how others can develop their ideas into an educational board game. #sixsecondstudying – The Newcastle University Medical Education Society produced a series of 6 second vine videos on basic clinical topics. The videos were valued by their students as a bite-size learning and revision aid. Our Gloucestershire Academy presented on the use of Turning Point in simulation training. The study found that the use of the e-voting system improved the observer experiences in simulation through increased engagement and interactivity. The anonymity of the votes improved the participation from the students and helped the facilitators give more honest feedback. I presented with Gloucestershire Academy on a comparison of self directed hospital tours using both QR codes and AR (Augmented Reality). The AR approach – which used overlay images to trigger welcome videos from departmental staff as the students moved around the different locations of the tour – proved to be the more popular option. The students particularly valued meeting all of their key colleagues in the tour videos without having to interrupt them in their departments. The study also found that the tour was dependent on a good wifi or internet connection in the hospital environment. Imperial College presented a study comparing traditional didactic teaching of paediatric development to a blended approach using Virtual Simulated Patients (VSPs). The study showed that the blended approach helped to standardise the learning experiences across the different sessions and that the students valued the enhanced interactivity through introducing the VSPs. Dr Richard Canter from Oxford presented an engaging plenary session on the Friday of the conference. Using his own personal experiences, Dr Canter talked about the importance of teaching leadership in the healthcare profession. He referred to the importance of communication heuristic and referenced Tobert’s The Power of Balance (1991): FAIL – Frame, Advocate, Illustrate, Inquire (see pic). Dr Canter also stressed the importance of good relationships in and outside one’s family as a primary factor in resilience.